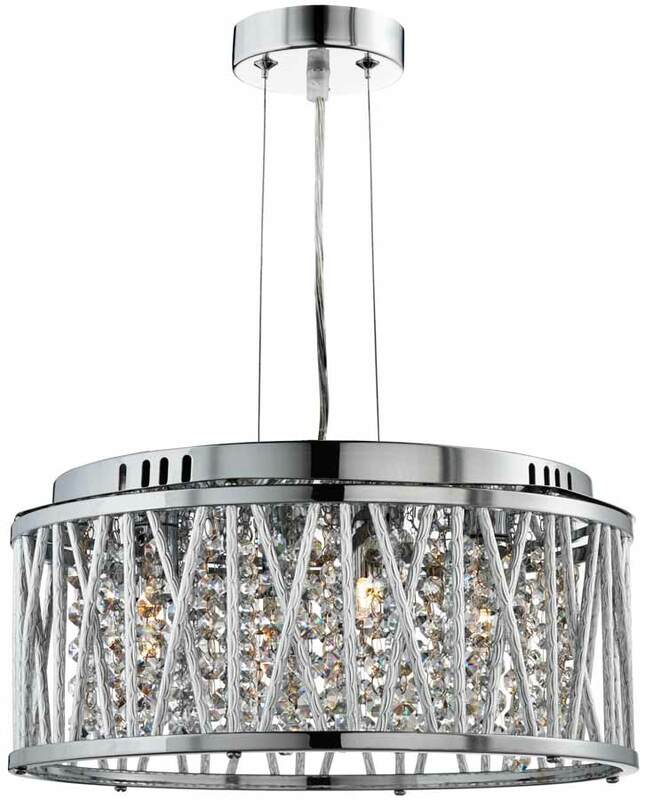 This Elise 5 light ceiling pendant in polished chrome with crystal and diamond cut tubes is stunning and contemporary. 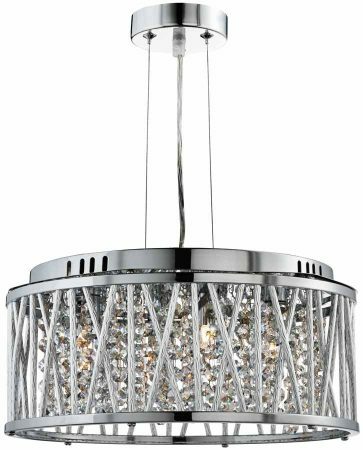 Featuring a circular mount, multi wire suspension and circular 40cm drum frame, with five lights mounted in the top and masses of strung crystal beads hanging in the centre. 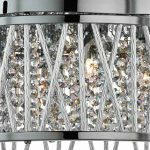 The top and bottom sections are connected by an outer rim of diamond cut polished aluminium tubes that create a magnificent effect. Now you can add up to the minute style with this stunning centre piece that is perfect for any modern home. 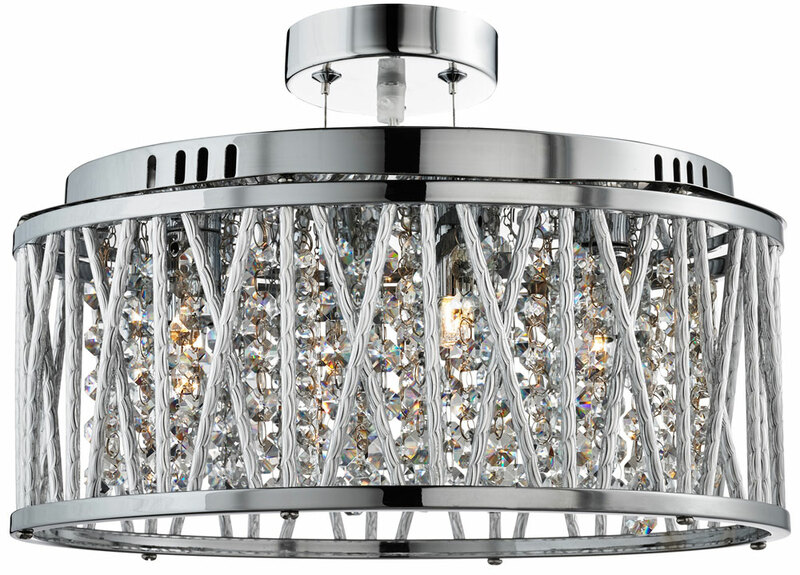 A larger stylish fitting with an abundance of crystal dangling inside an elaborate drum frame in polished chrome with diamond cut tubes. This combination creates a feeling of contemporary elegance that is perfect for creating a focal point in any dining room, bedroom, hallway or living room. Height adjustable at the time of fitting by shortening the wires, please see below for dimensions. There are matching fittings in the Elise polished chrome lighting range that includes three and four-light flush fittings, three, four and seven light pendants, eight light island chandelier, four-light pendant bar and a switched wall light; please see below. 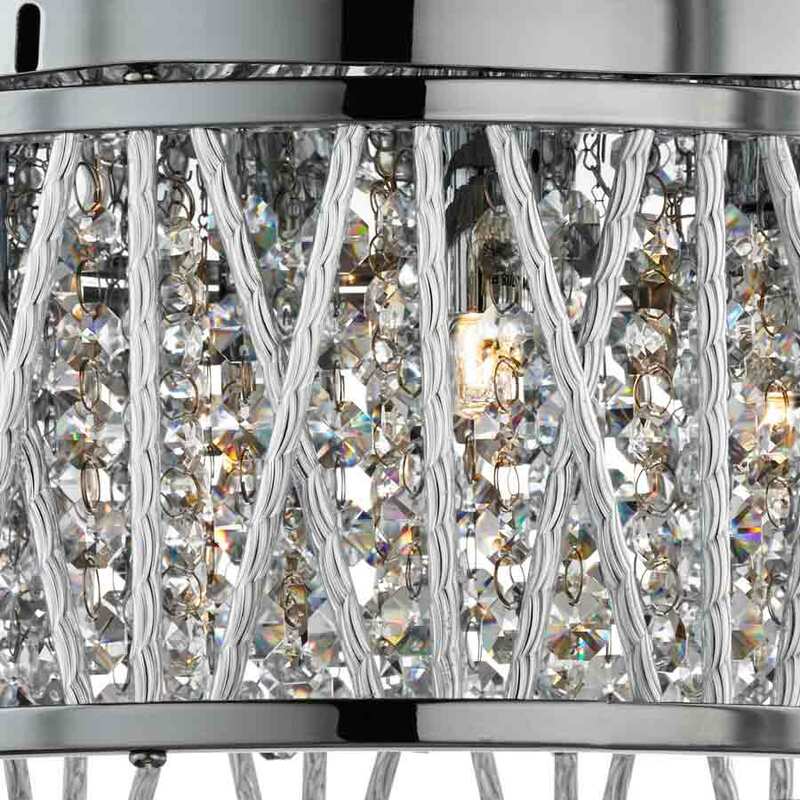 This contemporary light is supplied by Searchlight who manufacture some of the best traditional and modern classic designs such as the Elise 5 light ceiling pendant in polished chrome with crystal and diamond cut tubes you see here.